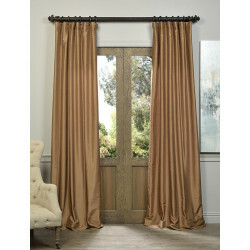 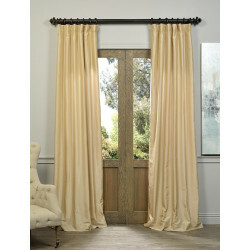 Our Vintage Textured Faux Silk curtains & drapes have a slight sheen that mimics the finest texture of silk dupioni. 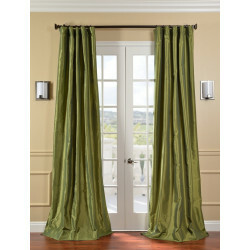 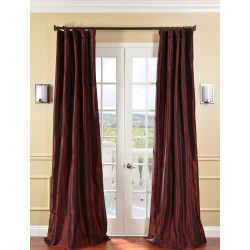 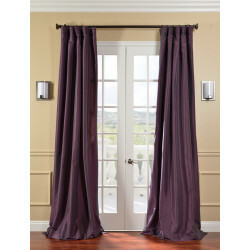 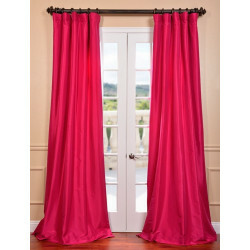 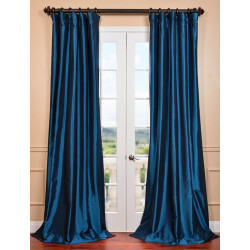 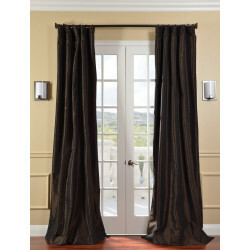 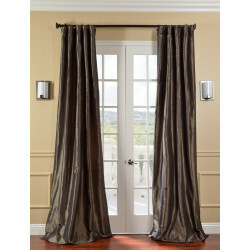 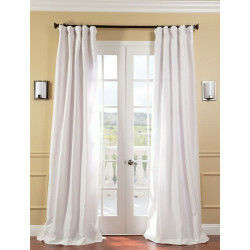 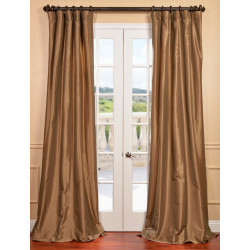 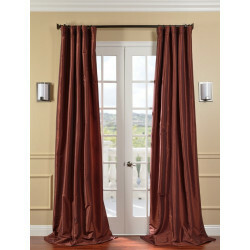 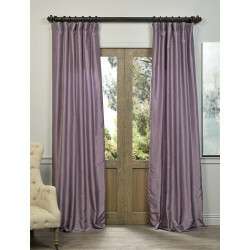 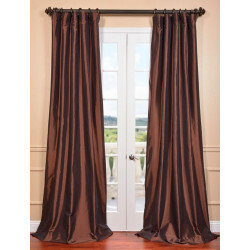 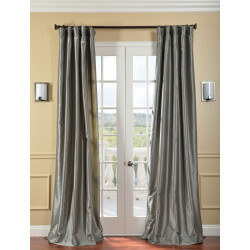 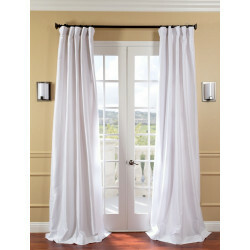 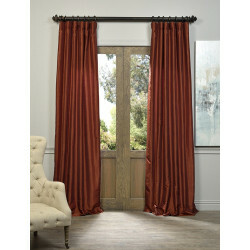 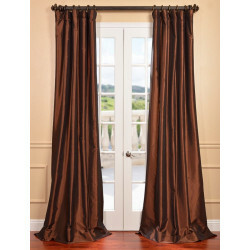 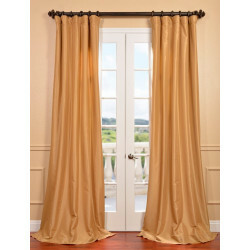 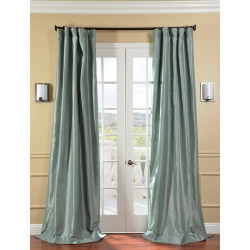 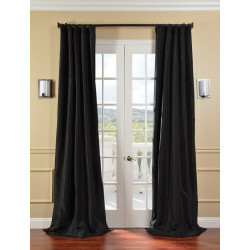 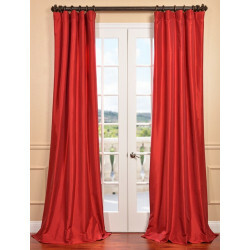 These curtains bring the look of luxury without the cost or high-maintenance care. 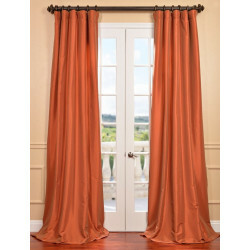 Built-in are two header designs within a single panel. 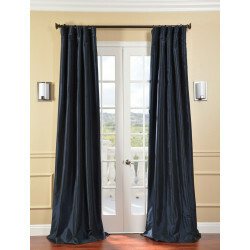 The attached back tabs for a formal pleated look and a traditional pole pocket. 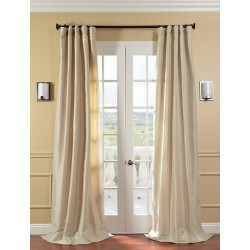 As a general rule, for proper fullness panels should measure 2-3 times the width of your window/opening. 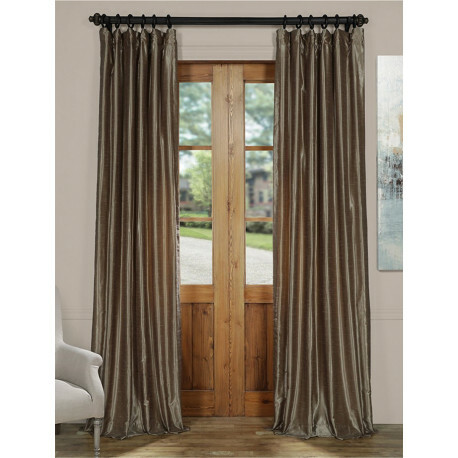 Warm Stone Vintage Textured Faux Dupioni Silk Curtain BOCH-KC30 from Half Price Drapes (HPD, Exclusive Fabrics & Furnishings LLC). 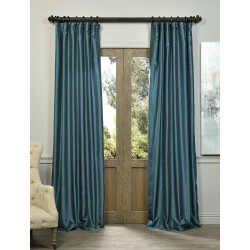 Browse HPD site and see the wide array of Silk, Linen, Taffeta Silk and Velvet, Cotton Satin, Exclusive Italian Cotton Silk and Sheer curtains & drapes in breathtaking colors and embroidery.